The appointment of a retired high court judge to negotiate terms between the workers’ union and the BEST management is one of the other terms agreed upon, leading to the withdrawal of the strike. 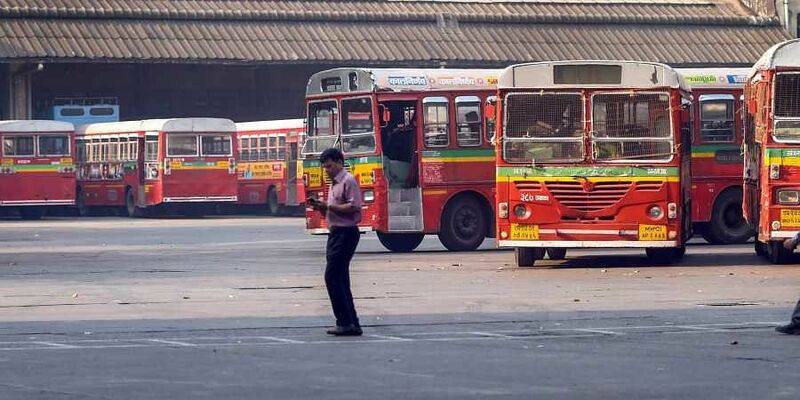 MUMBAI: In a big relief for over 25 lakh daily commuters in Mumbai, members of the BrihanMumbai Electric Supply and Transport Employees Union resumed duties after Nine-day strike on Wednesday. After hearing the Union's side in the morning, the division bench of Bombay High Court presided by Chief Justice N H Patil directed the BEST employees union to withdraw the strike and continue negotiations with the administration. The court appointed high powered committee while agreeing to most of the demands of the employee union, had prepared a plan for settling workers' dues in 10 instalments. While the union agreed to the plan, they also demanded the appointment of an independent mediator for monitoring execution of the proposed plan as well as for further negotiations. After the court's nod over the demands, the union withdrew the strike. Union leader Shahshank Rao announced the withdrawal of strike at the workers' meeting at Wadala depot after which the bus services were resumed from most of the 27 deports across the city. While speaking at the workers' meeting Rao hit hard at the Shiv Sena and its chief Uddhav Thackeray for delay n the negotiations to end the strike. "It was Thackeray who prevented Chief Minister Devendra Fadnavis, else with his intervention the strike would have ended very soon," Rao said. Rao also blamed Thackeray for the mess in the civic transport undertaking. He accused the Shiv Sena of eyeing the huge bus depots of the BEST and said that they "want to sell them off for their own benefit". According to the plan proposed by the high-powered committee, implementation of interim pay-hike for about 15,000 out of total 32,000 employees, which had been pending since 2007 would be immediately initiated while the '10-step increment' too shall begin this month. For rest of their demands, the union would continue talks with the administration. While upholding the union's demand of an independent mediator, the High Court appointed retired high court justice F.I. Rebello as the mediator and said that the "mediator shall, within a period of three months discuss demands put forth by the employees, like 20-step pay hike, merger of BEST and BMC budgets, and so on."